Twitter began its “purge” of right-wing accounts Monday and has terminated the account of Britain First deputy leader Jayda Fransen, who reached global attention after she was retweeted three times by U.S. President Donald Trump last month. Ms. Fransen, along with the official Britain First Twitter account and the account of leader Paul Golding, was suspended Monday afternoon. The banning comes after Fransen posted three videos purporting to show Muslim violence which were retweeted by President Trump and caused outrage among the establishment class who labelled the videos racist. 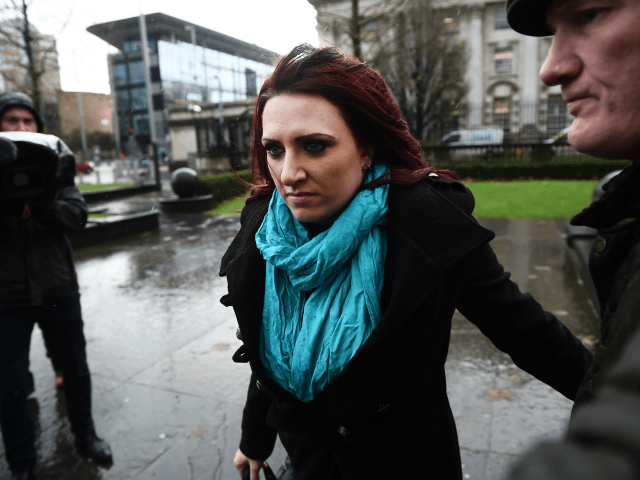 Fransen, who was recently arrested in Northern Ireland along with Britain First leader Paul Golding, has so far not issued any statement on her banning from the social media platform. A number of other accounts from the USA, UK, Canada, and Sweden have also been banned after Twitter announced that they would be enforcing new terms of service last month. The new terms, according to Twitter’s blog, are designed to “reduce hateful conduct and abusive behaviour”. Twitter will now ban any account that “abuses or threatens others through their profile information, including their username, display name, or profile bio”. 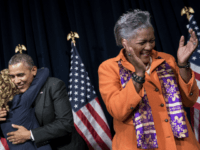 Twitter has been criticised for targetting conservatives and censoring the U.S. Democratic Party email leaks during the last two months of 2016’s presidential campaign. Leaked emails obtained by Breitbart News in October showed Twitter staff openly showing disdain for pro-life U.S. Congressman Marsha Blackburn who had a pro-life video censored on the platform.